Many books on Luger pistols are available to those interested in collecting Lugers. However, these books usually provide only the history of the Luger, model variations, proof marks, serial numbers, and production quantities. Few offer information that would be of benefit to shooters. Nor do they offer detailed explanations of Luger performance. 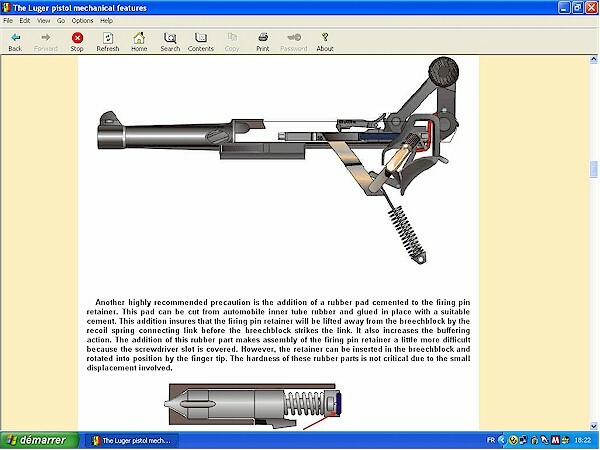 The purpose of this E-book is to present data and information that will enable the owner of any fine Luger pistol to achieve standards of reliability and accuracy with this weapon that probably did not believe possible. 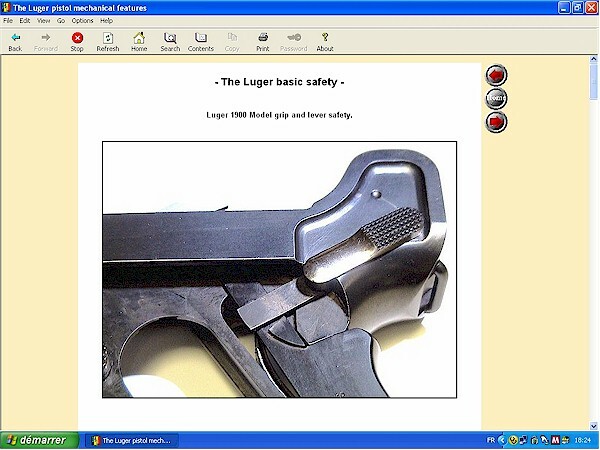 Another purpose is to explain some of the Luger's design features that are primarily of interest to shooters, and repudiate some long established misconceptions. Yet another purpose is to help rid a beautiful and practical weapon of the stigma of unreliability. Lugers are not unreliable but do require more understanding than other less sophisticated designs. It cannot be argued that there are not other handgun designs better suited to mass production or to military service. However, the owner who is willing to understand his Luger, and to give it the attention it requires as an individual weapon, can achieve standards of performance equaling any handgun. 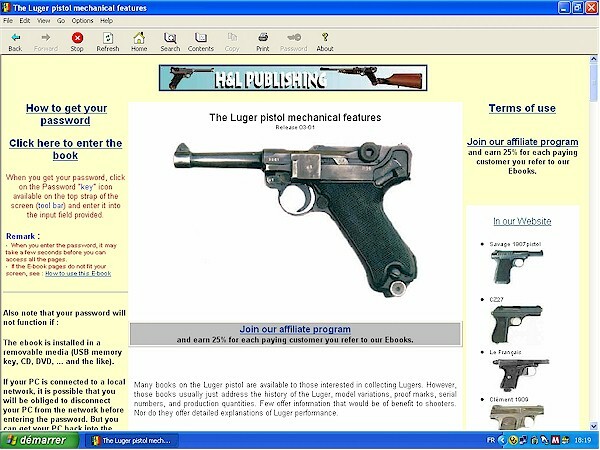 As is the case with any firearm, the Luger has its limitations. The limitations are sometimes not obvious or so easily understood. 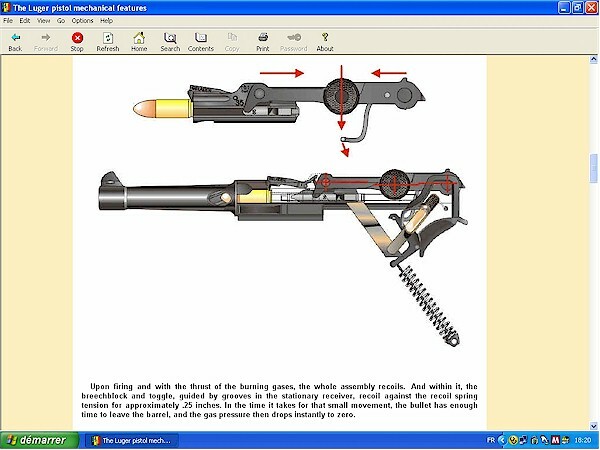 It is hoped that the information presented in this E-book will permit greater use of these guns, and at the same time eliminate unnecessary modifications and shooting damage. 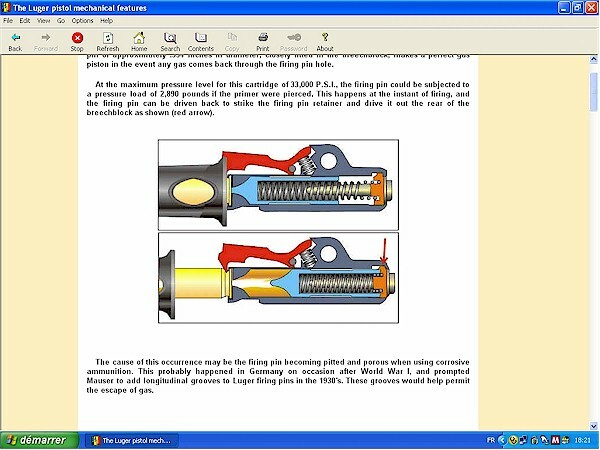 - How the Luger toggle lock works. 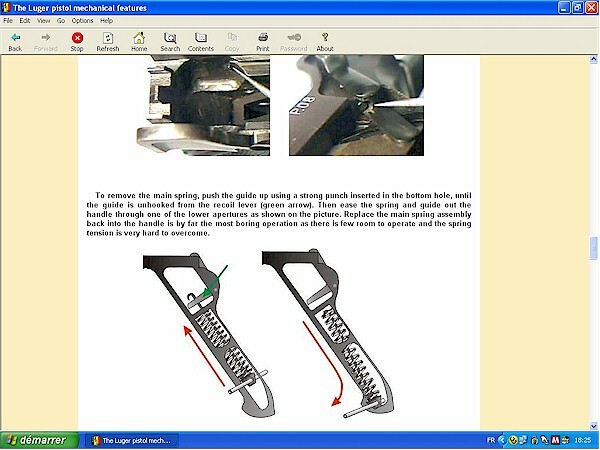 - Why is the toggle rear link's tail essential ? - What will happen if the toggle tail is removed? 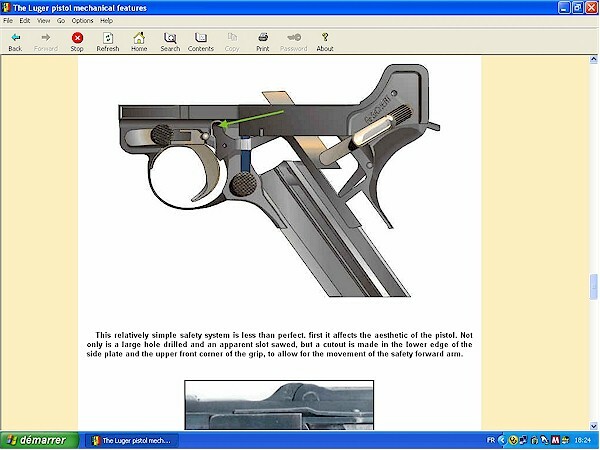 - The Luger firing process (with animated technical drawing). 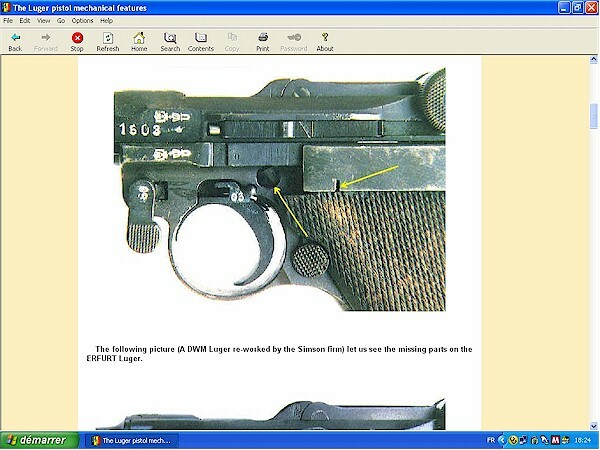 - How to determine if a Luger has fired a lot of rounds. 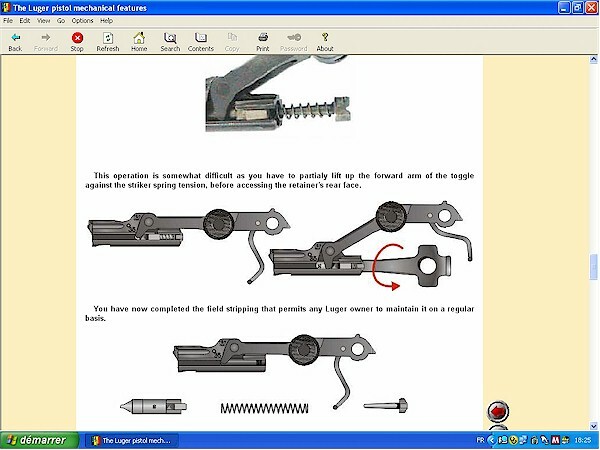 - The forward toggle link extension lever. 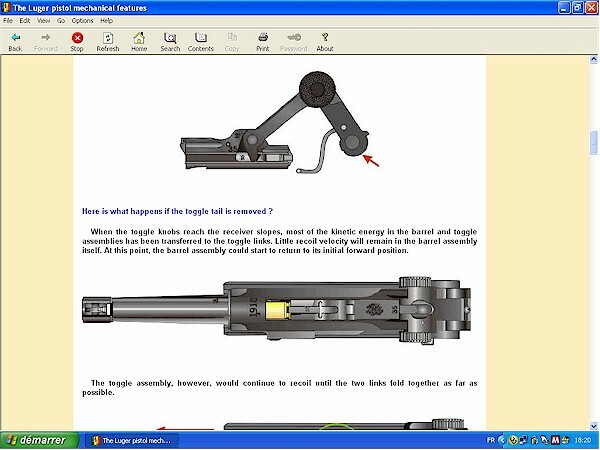 - What happens if the forward toggle link extension lever is suppressed ? - Troubles with the hold-open device. - Positive feeding and extraction. - Constant headspace from shot to shot. - The Colt .45 wears at 10 times the rate of the Luger. - Grip shape and chamber loaded indicator. - Fine pre-WW I Lugers loads. - 1930's Mauser Luger adapted for heavier loads. - A highly recommended precaution. 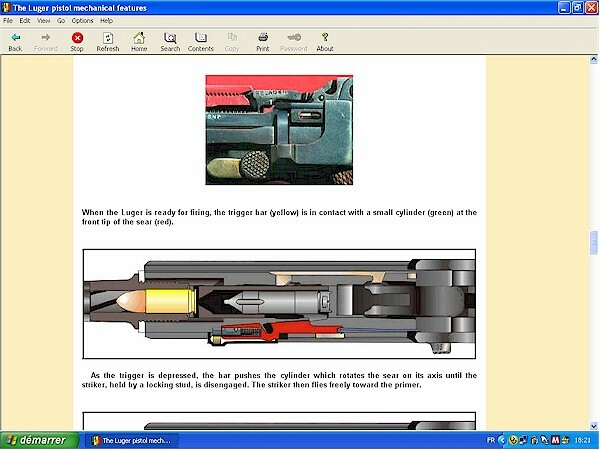 - The real secret of loading ammunition for the Luger. 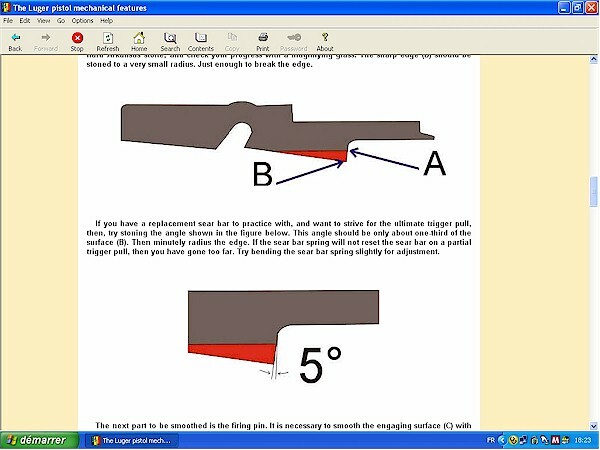 - A practical way to shape bullets. - The system is a target for criticism. - One area that requires attention. - The sear bar engaging surface. - Parts that must be smooth. - A loose side plate. - Luger sights were made in various heights. - Rear sight V or U notch. - Two current safety systems.